Sculpt Shaping Brief combines active ingredients and seamless fabric for a slimmer silhouette. The Shape and Slim Sculpt Shaping Brief is not your average underwear! Each brief combines active ingredients and a seamless fabric to obtain a slimmer silhouette. Each Shape and Slim Sculpt Shaping Brief has millions of microencapsules that contain caffeine, cedrol, brown algae, and inca oil to simultaneously help slim, tone, and improve the skin’s elasticity. Medium to high compression with specific flat tummy, push-up lifting curves and back support for extra shaping & comfort. 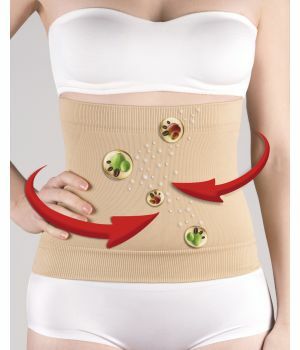 Each garment has its secret slimming shaping knits that work like a massage to activate micro-circulation, eliminate fat and provide targeted shaping. Ultra comfortable, breathable and non binding fabric. Discreet, can be worn under any garment for a sharp and sleek look.